A “charge card” is very similar to a credit card, in that it’s plastic, rectangular, and can be used to pay for goods and services with a simple swipe. However, the major difference between a charge card and a credit card is that purchases made using a charge card must be paid in full each month. That’s right, if you hold a charge card in your wallet and use it to make purchases each month, they must be paid off in full at the end of each billing cycle. No ifs, ands, or buts, unless you want to a pay a penalty. To this end, a charge card is more a form of payment convenience than an extension of your spending capability, which is the main draw of a credit card. Of course, a charge card may still allow an individual or a business to make large purchases without having to pay for them on the spot. This is clearly a benefit if cash flow is a concern. Charge cards also provide a form of security for the user, as cash typically doesn’t have a paper trail, nor does it provide purchase protection. And if you lose your cash, there’s a good chance it won’t be replaced. Most charges cards also provide extended warranties on the items you buy, and allow you to make returns more easily if the merchant is being difficult. Additionally, many charge cards have rewards programs and other benefits, so you can earn rewards like free flights and so forth. Because a charge card isn’t a credit card, there isn’t an associated Annual Percentage Rate (APR) tied to your purchases. This has to do with the fact that the balance must be paid in full each month, so no interest (finance charges) should ever accrue. However, there are still late charges associated with charge cards, and they can be pretty steep. For example, if you don’t pay in full each month, you’ll be subject to a fixed late fee – don’t pay for two months and that late fee becomes a percentage of your outstanding balance, which can obviously be quite hefty. There is also no pre-set spending limit with a charge card – it’s simply monitored over time based on your credit profile and spending habits. Obviously more creditworthy customers can spend more each month than those with less credit history or fewer large purchases in the past. And your spending ability may change over time based on previous behavior. You may also have to call your credit card issuer to talk about your limits if you feel they are too constrained. But charge cards generally have larger credit limits than standard credit cards because you must pay the balance in full each month. In other words, you can’t really get into debt as easily with a charge card. Similar to a credit card, a charge card can impact your credit score both positively and negatively. So be sure to make payments on time. If you miss a payment and it is reported to the credit bureaus, your credit score will go down! A charge card that has been open for a long time (with no missed payments) should boost your credit score, so don’t feel like you need a “regular” credit card as well. The Platinum, Gold, Green, and ZYNC American Express cards all require you to pay your balance in full each month, and are thus regarded as charge cards instead of standard revolving credit cards. Chase also recently launched a charge card in its Ink Bold credit card. So they seem to be getting more popular as time goes on. All of the aforementioned charge cards come with an annual fee, so you may want to consider a standard revolving credit card instead if you want to save money (American Express cards with no annual fee). Just know that a regular credit card requires more discipline than a charge card, mainly because you can carry a balance and spend above your means. This means costly finance charges if you don’t pay your balance off in full each month. Finally, most charge cards require you to have an excellent credit score. So be sure to practice healthy credit habits before applying for a charge card to improve your chances of approval. 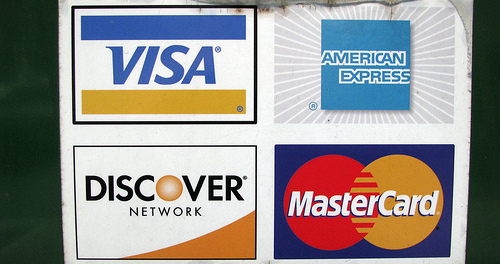 If you do have excellent credit, you may be “invited” by charge card issuers. Read more: Where do you stand on the Fico score range?